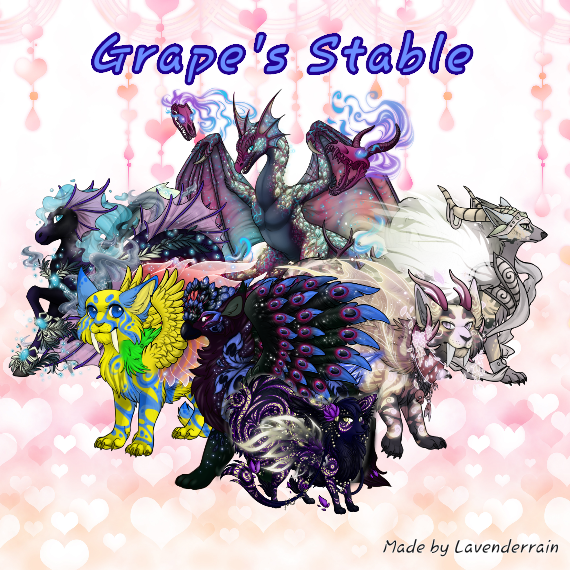 The above was made by Lavenderrain go check her out she is amazing! Lots of relics, armor, and accessory. I also sell some things from the scale shop so make sure to check the trade broker! I like the color ------=-(blanketed for contest). Also can anyone guess what is the theme for the name of my stables? Sea people don't think they are well. I say "Whale there is nothing that can stop me for I should have a degree." Water you going to do about it I ask. and she reply's "I will spread awareness that is my task"
We shake our heads and say "Cod the puns I(She) tell(s)." What did ya'll think of my poem? XD Make sure to Check out Shardstar8's peom over at her page! Some wonderful art from some wonderful people! 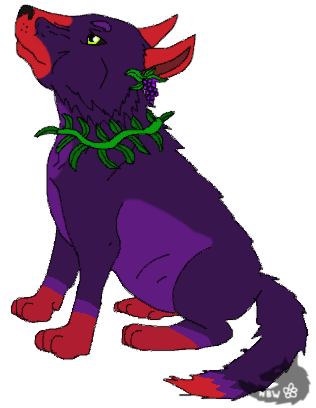 thanks to Nightbanewolf for the beautiful Grape-wolf! 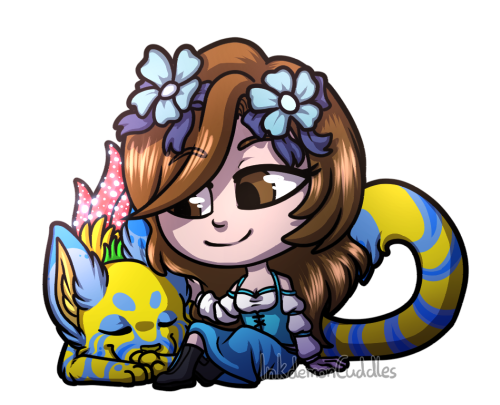 Thanks so much to Shiraishi for the wonderful drawing of me and my starter pet kindheart! Thanks Galexiadraws for the awesome Gif of my Starter pet!! SpaceElf was tested by SpaceElf1! Brilli took a fork, but she had not liked the fork she chose so she has chosen another fork. She is now eating the waffle.